More and more, global health experts are teaming up with designers to tackle daunting challenges like food scarcity, water contamination and, yes, maternal mortality — be they environmental, product, or systems design challenges. 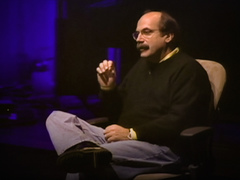 David Kelley: Human-centered design Using what IDEO.org calls “human-centered design” — essentially putting the user at the center of a deeply iterative process — some of the most cutting-edge thinkers in public health are seeing old problems in new ways. Design is no longer just a tool of the global elite; it’s increasingly becoming a lever for the poorest, most vulnerable people in the world. Two activists with a deep-seated interest in how design can transform lives, we spent the first two weeks of the year doing fieldwork in Malawi. Despite the fact that it is considered one of the world’s least-developed countries, leaders in Malawi are looking to dignifying design. Banda, who came into office in April after her predecessor passed away, has pledged her precious time in office to emulating places like Rwanda, where human-centered design has improved the lot of many rural poor. Banda faces her first official election on May 19, 2014, giving added urgency to her efforts. The Aspen Institute’s Global Leadership Council on Reproductive Health coordinated our visit to the country, and is also marshaling resources and support Banda’s way. She is the second female president in Africa, following in the footsteps of Liberian Nobel Peace Prize winner, Ellen Johnson Sirleaf. (Watch Sirleaf’s Q&A on the TEDWomen stage in 2010.) The two are allies and perhaps symbols of a new dawn of women’s leadership on a continent that has long suffered from the corruption and violence. One of Banda’s first acts in office was to double-down on a Presidential Initiative on Maternal Health & Safe Motherhood, focused on reducing maternal mortality from its current rate to 115 or less per 100,000 live births. She aims to do this by 2015. 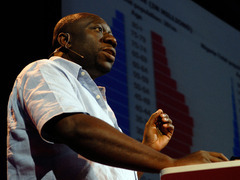 Above, Michael Rosenblatt asks “How can we stop death during childbirth?” at TEDMed 2011. One idea to this end: getting more women to give birth in clinics staffed with health providers and equipped to handle complications. In countries like Malawi, women have historically given birth in their homes with traditional birth attendants. This can be extremely dangerous. Should something go wrong, most traditional birth attendants aren’t trained to respond; many are also known to encourage women to push too fast, one cause of the scourge of fistula in the country. So what is a country to do when 85% of its population, including women of child-bearing age, live in rural settings far afield of the few equipped clinics and hospitals in the country? It’s a question ripe for a design approach. The Malawian government has pledged to build as many as 150 “maternal waiting homes” near clinics where rural women can stay in advance of their due dates. One waiting home is already in service in Northern Malawi and seven more are currently under construction. Blueprints for these brick and concrete structures were developed by the Ministry of Health, taking two forms — a 24-bed version and a slightly larger 32-bed structure. Each is projected to cost between $70,000-$80,000, and will be funded by Malawi’s private sector and outside philanthropic support. These waiting homes have the opportunity to become beacons of hope in a country caught between natural beauty and devastating poverty. But it’s not just bricks-and-mortar that Banda is using to change women’s lives; it’s also a human-centered design for the healthcare system — too long understaffed and disproportionately urban. The Presidential Initiative on Maternal Health & Safe Motherhood, for example, is already training tribal chiefs in the importance of clinic birth for rural women, recognizing that their influence will largely determine what kinds of healthcare options women feel compelled to access. Once the chiefs have encouraged women to get to clinics, they will be met by new community midwives (Banda aims to train over 1,000 by 2014) and training opportunities at the “waiting homes.” Indeed, the Malawian women we interviewed expressed that they would love to gain new skills and knowledge while they wait for their babies to arrive. Resource-limited settings, like the rural villages of Malawi, seem like unusual places to find this kind of systemic and environmental design. But there are important precedents. For example, the breathtaking Butaro Hospital in Rwanda, designed by MASS Design Group and operated in January 2011 by Partners in Health (PIH). Above, Marika Shioiri-Clark talks “Empathic Architecture” at TEDxStellenbosch, describing Butaro Hospital. Perched on a hilltop once home to a military base, the Butaro Hospital proves that “if it can happen here, it can happen anywhere,” as Dr. Paul Farmer of PIH is known to say. Farmer is referring to the fact that this world-class hospital is found in a setting where there was no basic electricity until the advent of the hospital. But Farmer is also referring to a unique design imagined by professionals embedded in the community they sought to serve — rural villagers, doctors, and nurses. Further, the hospital was built by local community members using primarily local materials. Thousand of people were employed in making the facility’s exquisite lava rock walls, virtually all of them gaining new skills that may improve their livelihood in the future. Many details at the Butaro Hospital tell a story about the ways that humans really heal. Rather than being a fortress of internal hallways and small, secluded rooms, like so many American hospitals, it is characterized by open-air external walkways and big, collective spaces with beds directly facing bright windows with beautiful views. Ernest Madu: World-class health care There are also countless places to gather and sit outside — including a beloved koi pond. Color-coded signage paired with the color of wards is bright and easy to understand for potentially anxious visitors, unlike the bureaucracy and bad lighting one finds too often in stateside clinics. If all goes well, Malawi, like Rwanda before it, will have the potential to teach the so-called developed world something about dignifying design. It’s what many cutting-edge development and design experts are calling South-to-North strategies — where Western countries look to the Global South for the next, big innovations. It’s a refreshing reversal of fortune and a huge opportunity. Not just for the mothers of Malawi, but for all of us. Courtney E. Martin is the author multiple books, including Do It Anyway: The New Generation of Activists. John Cary is an architect, author, and the founding editor of PublicInterestDesign.org. Together, they traveled to Malawi and Rwanda this month with a delegation from The Aspen Institute’s Global Health & Development program. They are also members of the TED Prize team and co-leads of The City 2.0, the 2012 TED Prize focused on the future of cities. Pingback: The Problems of Maternal Health | isthisAFRICA? The first organization to develop this type of program was MaterCare International. They developed a Comprehensive Rural Obstetrical Services and Training Program in Ghana, Haiti, and Kenya. The supply motorcycle ambulances to rural areas, train traditional birth attendants, built manyattas (maternity waiting homes) and a maternity hospital that can provide care for complicated pregnancies, as well as provide education services. These types of programs are the only way forward in improving maternal health in a way that enriches the communities in which they operate. Reblogged this on Filtered Perception. 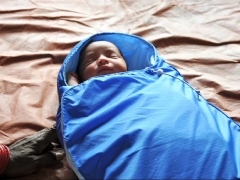 A really interesting article on Malawi’s maternity healthcare initiative. Several of my fellow VSO volunteers are training these new midwives to deliver quality care in rural communities. “Ganbare” guys!